Hygienic owns Super Vasmol and Streax brands of hair colour products. 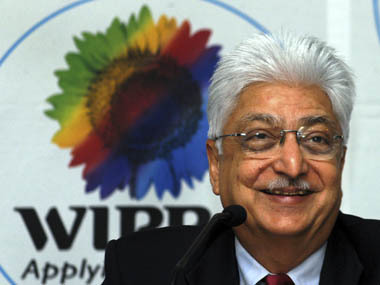 Premji Invest (PI), the investment arm of Wipro Group chairman Azim Premji, on Monday announced the acquisition of a significant minority stake in Hygienic Research Institute, one of the largest home grown haircare-focused FMCG companies. A statement from the Mumbai-based institute however did not share the investment details such as the quantum of stake being sold to Premji Invest and the price at which the sale has been concluded. Wipro Group, known for being a major software services player, also has a big presence in the FMCG space including soaps as well as shampoos with brands like Santoor and Chandrika. Hygienic owns Super Vasmol and Streax brands of hair colour products and had a turnover of Rs 350 crore (Rs 3.5 billion) in FY15. It has various hair colour products across all formats - powder, creams and Henna - that cater to both direct consumers and professionals. Super Vasmol 33 & Streax are its leading brands, that give it a significant market share. Hygienic has wide reach with 15 lakh retail outlets, 1,000 modern trade outlets and 15,000 salons. vision of growing into a Rs 1,000 crore (Rs 10 billion) company in five years and creating significant stakeholder value. It will enable the unlocking of our brands' true potential." The partnership will help us also to hone our capabilities through strategic investments in automation of factories, upgradation of IT systems, and renewed thrust on research and development, he said. He further said the five decades old company is poised to widen its footprint, commercialise innovative new products and deepen professional products franchise. The investment of growth capital investment will be accompanied by access to a wide network of senior consumer industry practitioners, he added.